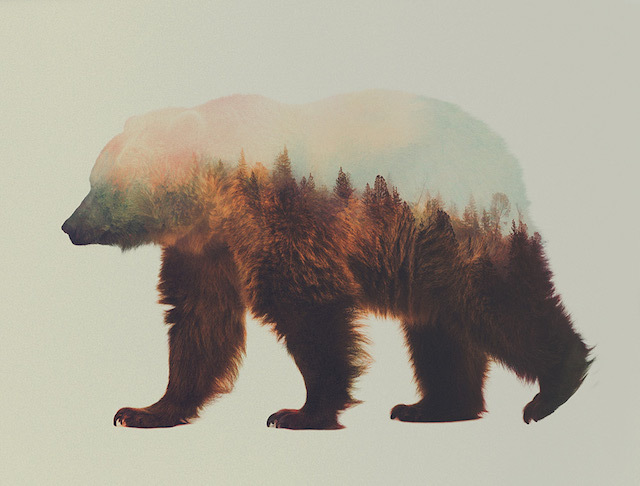 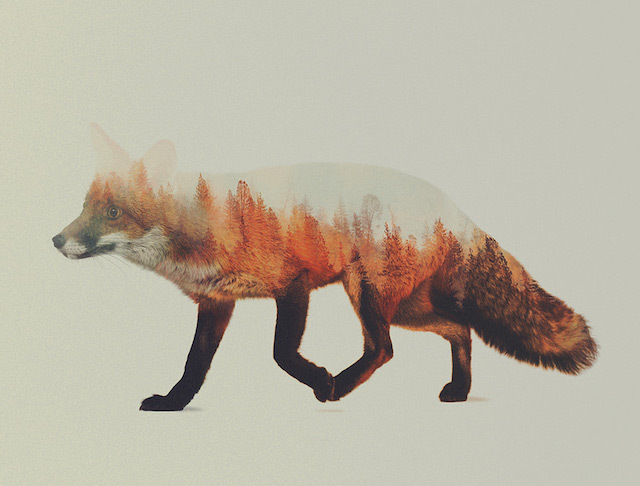 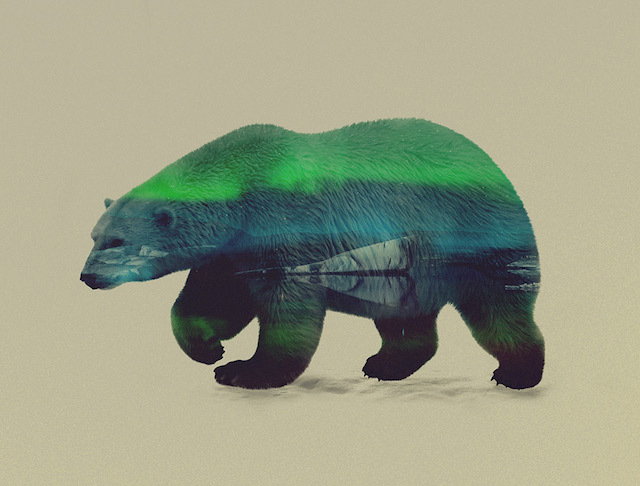 Andreas Lie is a visual artist from Norway. 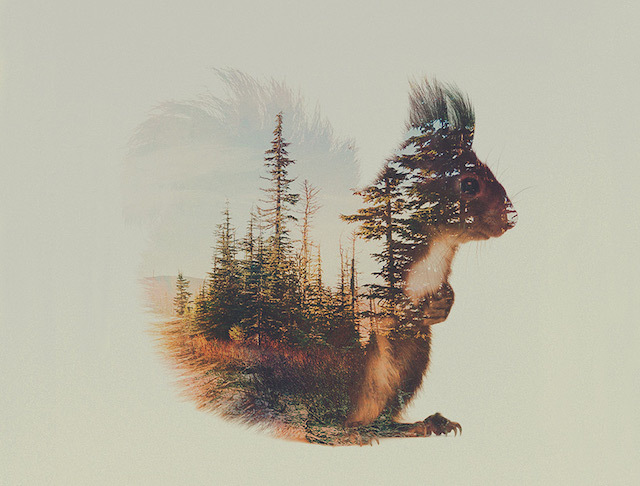 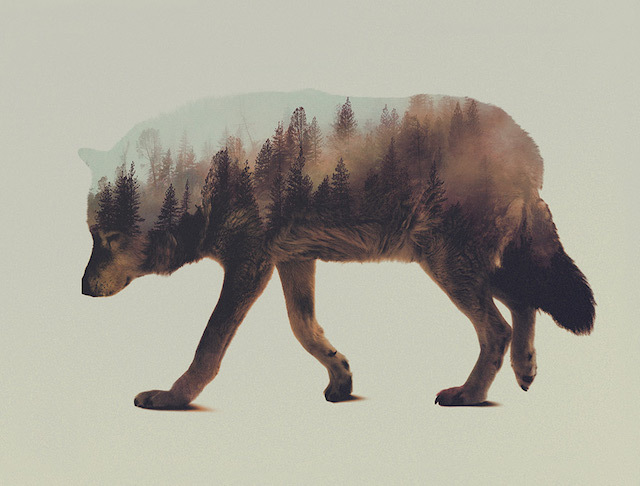 In his creations he used the double exposure technique. 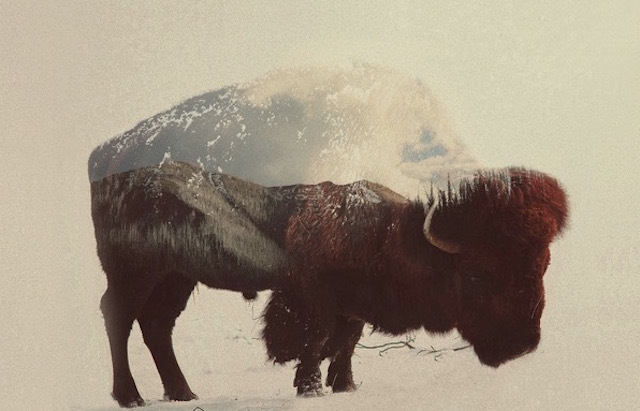 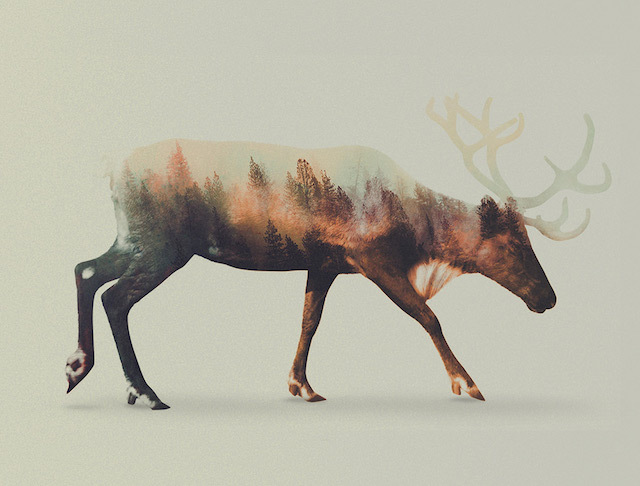 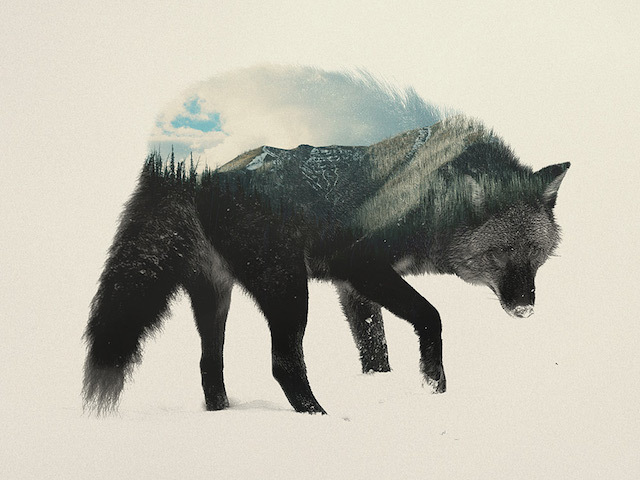 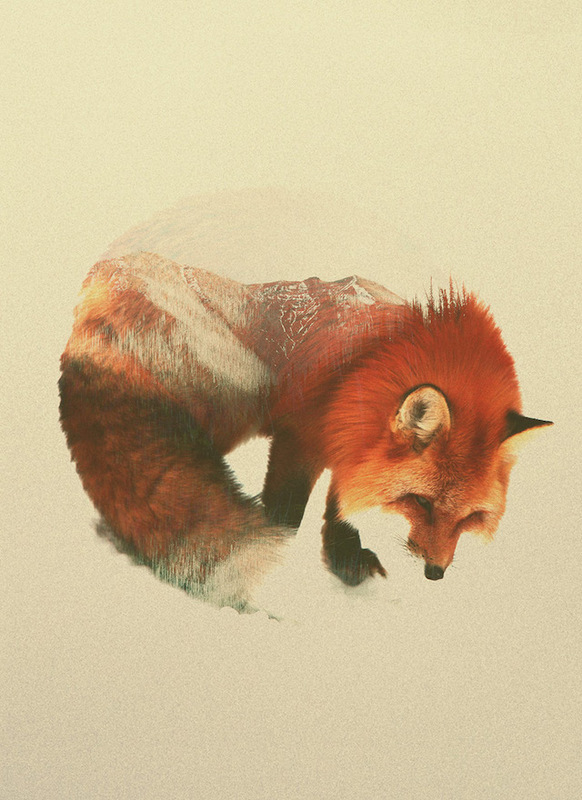 In one of his series, he stages wild animals by searching to represent it with their natural habitat. 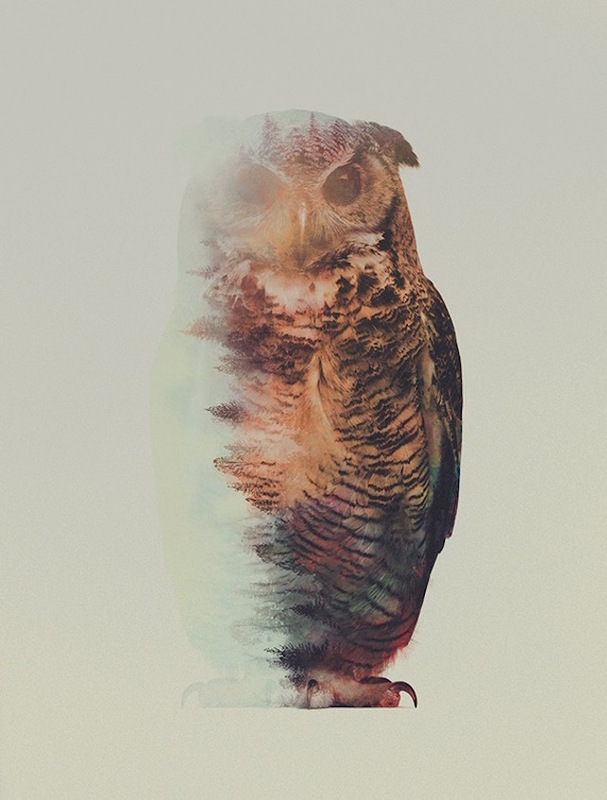 We look the sober and quasi-minimalist result without ending.